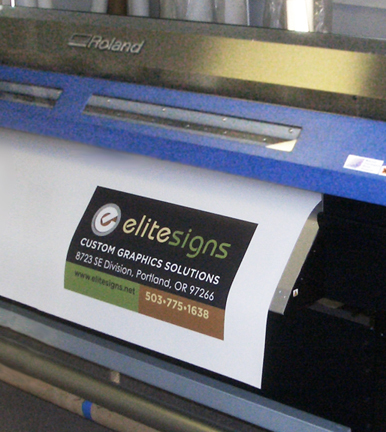 With our state of the art wide format Ecosolve Digital Printer we can provide you with the best visual impact for your business or personal project. With a full time graphic designer on staff, we can create custom graphics as well as logo design to make your business stand out in the crowd! Digital printing is best for when there are more than a few colors, gradients, fades, transparent imagery, complex graphics, or photos.